Objective To investigate the frequency, risk population, symptoms, reason, and outcome surrounding human methylphenidate exposures reported to a regional poison control center. Setting/Patients All human methylphenidate exposures reported to a regional poison control center during a 2-year period were included. Main Outcome Measures Data collected included age, dose, reason for exposure, symptoms (type and severity), treatment, and outcome. Age data for all other exposures reported during the same time period were also compiled. Results The study included 289 patients. Overall, 31% developed symptoms, most commonly tachycardia, agitation, and lethargy. No patient developed severe symptoms, although a less favorable outcome was seen with intentional vs unintentional exposures. When compared with the age data for all other exposures reported during the same time period, a trimodal vs bimodal pattern was seen, with the novel peak occurring in 6- to 9-year-old children. Within this age group, therapeutic error was the most common reason for exposure. Conclusions Methylphenidate exposure was associated with symptom development in 31% of cases. An unusually high incidence of therapeutic error was noted surrounding its use, most commonly in the 6- to 11-year-old age group, defining a unique population at risk for toxic exposure. This initial data may allow targeted poisoning prevention efforts for this age group. This year marks the 60th anniversary of the use of methylphenidate (MPH) for the treatment of ADHD.4 Methylphenidate currently accounts for 90% of the US psychostimulant market for treatment of this condition1 and is the most commonly prescribed psychotropic medication for children. A dramatic rise in MPH consumption in the United States has been noted and has more than doubled in the past 13 years.5 Increased use in preschoolers, the age group most likely to suffer from accidental poisoning, has recently been reported as well.6 Despite this widespread use, poisoning from MPH in a large number of patients previously has not been described. For more than 10 years, MPH use in Michigan has exceeded the national average by approximately 80%, with more than 2 g consumed per 100 population in 1994.2 The regionally prevalent use of MPH has raised the question of possible associated risk of accidental poisoning in children by this substance. Indeed, our center is frequently consulted regarding MPH exposure. Although case reports of severe intentional poisoning or those describing recreational abuse have been documented,7-18 overdose of MPH in a large series of patients has not been characterized before. This study was undertaken to investigate the frequency, risk population, symptoms, reason, treatment, and outcome surrounding methylphenidate exposures reported to a regional poison control center. A retrospective medical record review of MPH exposures reported to the Children's Hospital of Michigan Regional Poison Control Center in Detroit, Mich, was conducted using the American Association of Poison Control Centers Toxic Exposure Surveillance System (TESS) during the period from January 1, 1993, to December 31, 1994. The details of this data collection system, currently used by 75 US poison control centers, is outlined elsewhere.19 Only those cases involving pure, non–sustained-release MPH ingestion were included. Data collection included age, dose, reason for exposure, symptoms (type and severity), treatment, and outcome. Outcome was established using the TESS criteria.19 In addition, age data for all other toxic exposures during the same time period were compiled for comparison. All data were analyzed by relative frequency distribution or Pearson χ2 analysis. The reason for MPH exposure was classified by TESS criteria. Accidental exposures were those in which patients gained access to the substance when it was obvious that they did not realize the danger of the action. Therapeutic errors were defined as unintentional deviation from a proper therapeutic regimen that resulted in the wrong dose or administration to the wrong person. Intentional exposures were defined as those whereby purposeful action resulted in exposure, for example, in situations of suspected suicide, intentional misuse, or intentional abuse. Methylphenidate was involved in 394 exposures reported during the study period. This accounted for 0.3% of all exposures reported to our center. Excluded were 105 patients with co-ingestants or sustained-release formulation MPH ingestion. The study included 289 patients. In 41% of cases, the patient's own medication was involved. The mean dose of MPH ingested was 1.7 mg/kg (range, 0.06-29.3 mg/kg). The amount ingested was known in 163 cases, and a dose-response relationship in those cases was observed (P<.02, see Table 1). Overall, 31% of patients developed symptoms, most commonly including tachycardia, agitation, lethargy, or a combination thereof. No patient developed severe symptoms, although a less favorable outcome, defined by enhanced symptoms, was seen with intentional vs unintentional exposures (P<.02), as depicted in Figure 1. Across age groups, the mean dose ingested was greater in those patients who developed symptoms as compared with those who remained asymptomatic. The incidence of symptom development increased with age, but this was not statistically significant (P<.11). In the pediatric age group(aged 0-18 years), 251 exposures occurred. Of those, symptoms developed in 72 children (29%). A final outcome was determined in 173 pediatric exposures, of which 114 (66%) experienced no clinical effects and 34% experienced mild or moderate effects. Summary of outcome following methylphenidate exposure. Subgroup analysis by reason for exposure is depicted in Table 2. Following accidental ingestion, symptoms developed in 23% of cases. All but 6 of the 149 accidental ingestions occurred in children. Of those children who became symptomatic, isolated symptoms of tachycardia, lethargy, agitation, insomnia, and rash occurred in 65%. Multiple symptoms including abdominal pain, emesis, or hypertension, often in combination with tachycardia or agitation, were noted in the remainder. Overall, the highest rate of symptom development was noted in the 68 patients with intentional or unknown reasons for exposure. This cohort was nearly 3 times as likely to develop symptoms as compared with the accidental exposure group. Intentional ingestion of MPH was most commonly associated with isolated symptoms of tachycardia, agitation, lethargy, vomiting, dizziness, mydriasis, and tremor. Of the 8 patients in this group who manifested multiple symptoms, erythema, diaphoresis, hypertension, emesis, chest pain, tremor, fever, and insomnia were seen, often in combination with tachycardia (75%). Finally, of those patients exposed to MPH as the result of therapeutic error, 22% became symptomatic, a finding that was comparable to the accidental group (Figure 2 and Table 3). Whereas most therapeutic errors occurred in the 6- to 11-year-old age group, the highest rate of symptom development was noted in the 0- to 5-year-old age group (33%). Isolated lethargy, agitation, headache, and vomiting were most commonly seen. One patient in this group developed dystonia, and two developed agitation in combination with hypertension or tachycardia. Symptoms following methylphenidate exposure due to therapeutic error. Of those patients treated in health care facilities, 105 of 289 received gastric decontamination. Outcome data were available for 74 patients within this group. No association was noted between gastric decontamination and improved outcome (P>.10). When MPH exposure age data were compared with those for all other toxic exposures reported to our center during the same period, a trimodal vs bimodal distribution was seen, the novel peak appearing in the 6- to 9-year-old range (Figure 3). Within this unique age group, therapeutic error (usually the administration of extra doses by a caregiver) was the most common reason for exposure. Age data: methylphenidate vs all toxic exposures. The use of MPH to treat ADHD is increasing. Although MPH's mechanism of action is largely unknown, inhibition of the dopamine transporter in presynaptic neurons with a lesser effect on norepinephrine and serotonin reuptake has been proposed.20 As with other amphetaminelike drugs, both direct and indirect sympathomimetic effects are noted, and minor inhibition of monoamine oxidase has been described.19 Methylphenidate has also been demonstrated to affect blood flow and glucose metabolism in the cerebrum, basal ganglia, and cerebellum.21-23 Beneficial therapeutic behavioral effects include decreased motor activity, decreased impulsivity, slowed reaction time, and augmented persistence at a given task.24 Whereas the short-term benefits of stimulant medications like MPH are well documented in the treatment of ADHD, long-term benefits are controversial. Multiple formulations of MPH exist, including 5-, 10-, and 20-mg tablets and 20-mg sustained-release capsules. Therapeutic dosing at 0.3 mg/kg per dose is effective in 70% of children. The mean dose ingested in our patients was 5 to 6 times the therapeutic dose. We chose to analyze only those cases involving immediate-release tablet exposure in an attempt to elucidate any potential dose-response relationship and also to determine the effects of gastrointestinal decontamination. The therapeutic half-life of this immediate-release formulation is approximately 2.5 hours. Half-life in toxicity is not known. Our study is unique because it examines a large series of patients ingesting pure, non–sustained-release MPH. As with other pharmaceutical agents reported via TESS for the same time period, the most common reason for exposure to this substance was accidental ingestion. When MPH age data were compared with those of all other toxic exposures during the same period, a trimodal vs bimodal distribution was seen, with the novel peak appearing in the 6-to 9-year-old age range. Interestingly, an unusually high incidence of therapeutic error was noted surrounding MPH exposure (24%). Of these therapeutic errors, most occurred within the 6- to 11-year-old age group, a cohort of children that is not normally associated with poisoning risk. Usually these errors resulted from the administration of extra doses of medication to the child by caregivers, and fortunately they were not associated with serious clinical symptoms in most patients. Nonetheless, given the frequency of occurrence, along with previous reports of serious toxicity associated with other drugs used to treat ADHD,27,28 our center developed the following recommendations for caregivers of children with ADHD (Figure 4). It may not be possible to generalize our results to other geographic regions, since the high rate of MPH use in our area may have affected our assumptions regarding age risk for MPH exposure. 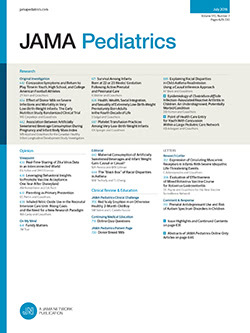 Even though the number of 10- or 11-year-old boys in Michigan treated with MPH is similar to the national prevalence of the disorder, wide variation exists in prescribing practices among counties, with 5% of the pediatricians prescribing 50% of the MPH.2 Validation of our observations via comparison with national data may therefore be an area of future study. Safety recommendations for children taking medication for attention-deficit/hyperactivity disorder (ADHD). Although a dose-response relationship was observed, we interpret this finding with caution, given the low number of cases represented in the 2-to 3-mg/kg group. Furthermore, inaccuracies of dose estimation are common with intentional ingestions. The percentage of symptomatic patients increased with age, even though comparatively larger dosages were not always apparent. This may reflect the higher incidence of intentional ingestion seen with increasing age, and the inaccurate histories that often surround intentional drug overdose or abuse. Symptoms exhibited by all patients following exposure most commonly included tachycardia, lethargy, and agitation or a combination thereof. No patient developed severe symptoms, although a less favorable outcome (defined by enhanced symptoms) was seen with intentional vs unintentional exposures. The reported symptoms of agitation and tachycardia are consistent with the proposed amphetaminelike mechanisms of action of MPH discussed previously. The pharmacologic mechanism by which lethargy occurs is not clear. This potential for the development of a decreased level of consciousness, however, has treatment implications. Specifically, the use of syrup of ipecac or home charcoal cannot be recommended for prehospital treatment following exposure to this substance. Like other studies addressing the merits of gastric decontamination,29,30 our study was unable to detect any significant difference in outcome with this treatment. This may have resulted from the lack of standardization of gastrointestinal decontamination in terms of time from ingestion to intervention in our patients. This limitation, along with the small number of patients in the decontamination group and the uncontrolled, retrospective study design, restricts our ability to recommend against hospital gastric decontamination. One limitation of the TESS data telephone reporting system is that final case coding occurs without access to comprehensive hospital or medical records. Furthermore, laboratory confirmation of exposures is impossible in many cases of MPH exposure, since this substance is not typically included in routine drug-screening panels. Our study is retrospective and therefore has limitations inherent in its design. These considerations limit our ability to make definitive recommendations regarding prehospital triage or gastric decontamination, except to caution against the use of ipecac or home charcoal therapy, given that lethargy may develop following exposure. Methylphenidate exposure was associated with overall symptom development in 31% of patients. Symptoms most commonly included tachycardia, agitation, lethargy, or a combination thereof. Hence, most MPH exposures did not result in serious outcomes but may warrant evaluation by a physician. Age directly correlated with a higher incidence of symptoms. As with all other categories of toxic substance exposures reported via TESS during the same period, the most common reason for poisoning from MPH was accidental ingestion. However, an unusually high incidence of therapeutic error was noted surrounding MPH exposure. Of these therapeutic errors, most occurred within the 6- to 11-year-old age group, suggesting that the availability and use of MPH in this particular age group may increase the risk of medication error. This new epidemiological information may target future poisoning prevention efforts, prompt further definition of other vulnerable populations, and clarify dose-response relationships, triage criteria, and treatment recommendations. Accepted for publication July 24, 2000. Reprints: Suzanne R. White, MD, Children's Hospital of Michigan Regional Poison Control Center, Suite 616, 4160 John R, Detroit, MI 48201 (e-mail: swhite1@dmc.org).